The log cabin fire design is popular because it's easy to build, it's easy to light and it creates a nice hot bed of coals which are perfect for a campfire meal. There's a lot of debate over which fire design is better.....the teepee fire or the log cabin style. Even though the answer may vary from person to person, the log cabin style is better suited for indoor use. Why? 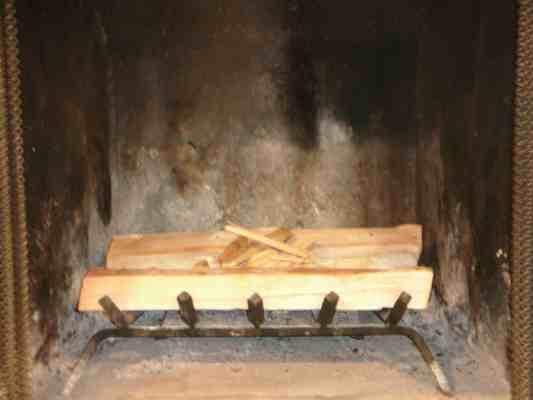 The log cabin is much easier to build on a fireplace grate compared to the teepee fire. Also, the log cabin design holds up a lot better and doesn't collapse as easily as the teepee design. 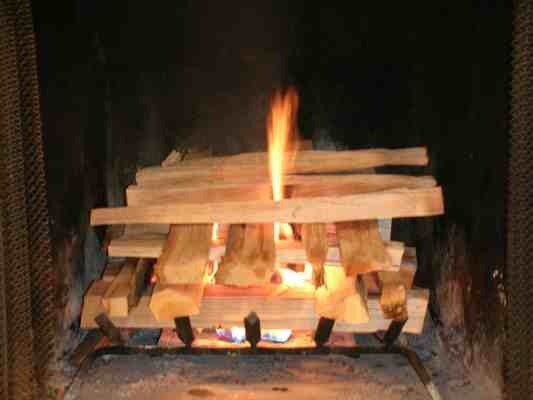 As with any fire, using dry, seasoned firewood will burn better and cleaner than wet wood. A lot of people who fail at building a fire usually blame themselves but more often than not it's simply the wood you're using. 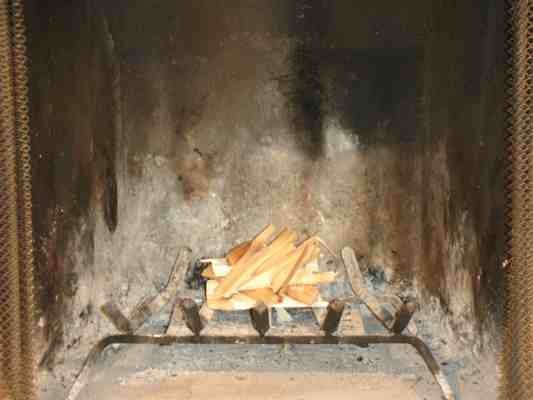 No matter how good you are at building fires......wet wood does not burn! Although there are a few variations to the log cabin fire style, this method seems to work best inside a fireplace where you have a grate to work with. If you were building this outside it's important to dig a small trench at the beginning to allow you to reach under and light the tinder or kindling. With a fireplace grate the wood is already suspended in the air so it's not necessary. 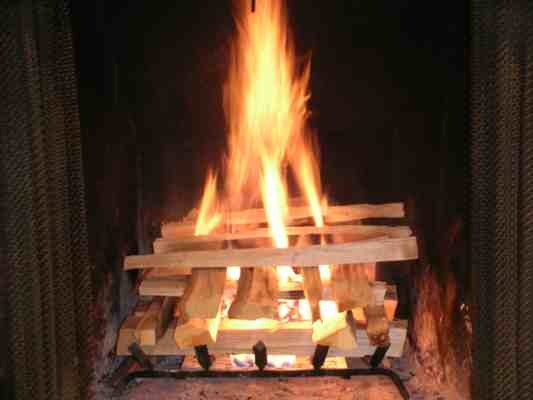 To begin, place a large pile of kindling in the center of the fireplace grate. These pieces of cedar kindling are criss crossed in a log cabin design. It's important to use a lot of kindling for this fire. You want to create a nice hot center inside the structure. If you fail to use a lot of kindling, your fire won't burn very well. 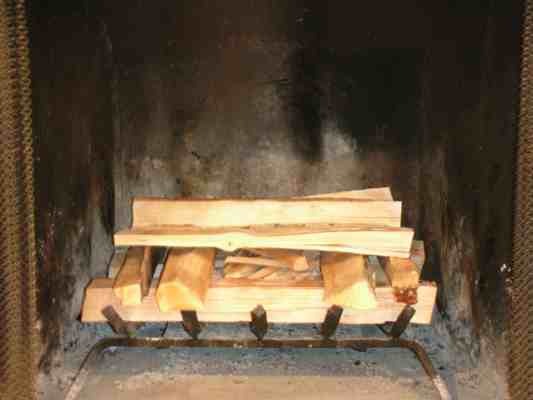 Once the kindling is in place, lay two fairly large logs running parallel to each other on both sides of the kindling. 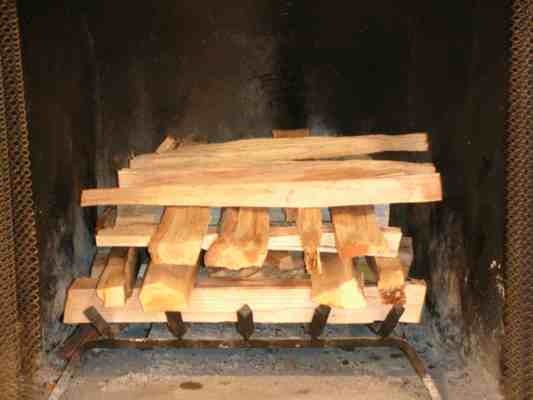 Next, take additional pieces of firewood and lay them in the opposite direction. You'll notice all the wood used here has been split into relatively small pieces. This is for two reasons. First, the fireplace is small and the smaller pieces seem to work better. Second, split firewood burns better than firewood still in the round (un-split). 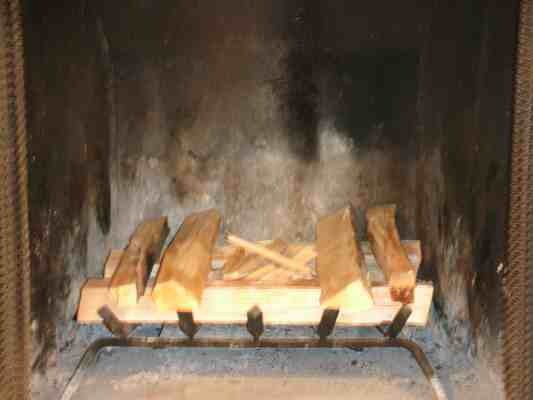 Next, place another row of wood in the opposite direction leaving a small gap in between every piece of wood. Continue this process a few more times constructing your "log cabin" and your ready to light it! Since we used small pieces of split cedar kindling for this fire, a single match was enough to light the kindling and set the fire ablaze. As you can see from the pictures, the log cabin design allows a lot of air to flow up through the structure creating a nice, hot, even flame throughout the firewood. 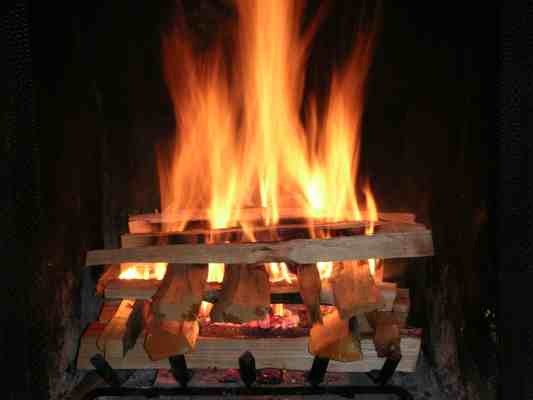 The log cabin fire is an easy way to build a fire for any occasion. 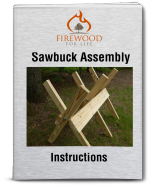 It's versatile enough to build it inside a fireplace or you can use the design to create a really nice outdoor campfire.